As the Manufacturer of Packaging & Laminate Printing machines, you must have requests about pentagon blades. Our material is yttrium stabilizes zirconia ceramic. Unlike other ceramic matetials, Zirconia ceramic is a material with high flexural roughness. Therefore it is not fragile and proper for producing blades. Another advantage is very sharp. Cutting performace is better than Tungsten carbide. 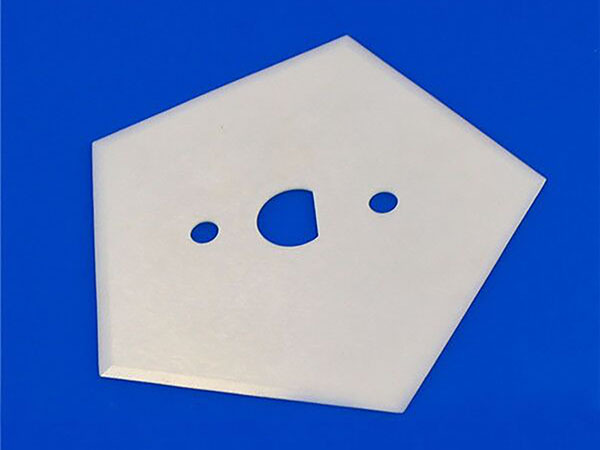 Ceramic pentagon blade is very suitable for fibers, tapes, film, leather, paper cutting machine application. If you have requests, feel free to contact us.